Halloween special II: Lovecraft, Paleobotany and The Shadow Out of Time. | Letters from Gondwana. ← Mignon Talbot and the forgotten women of Paleontology. Halloween special II: Lovecraft, Paleobotany and The Shadow Out of Time. 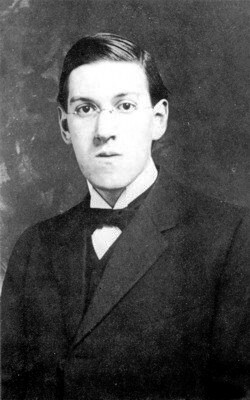 Howard Phillips Lovecraft in 1915. Howard Phillips Lovecraft was born on August 20, 1890 in Providence, Rhode Island. He was one of the most influential writers of the twentieth century. Despite leaving school without graduating, in his writings, evidences an extensive knowledge of archaeology, astronomy, geology, and paleontology. As an amateur astronomer, Lovecraft attended several lectures from leading astronomers and physicists of his time. He explicitly stated in a letter to a friend that Yuggoth is in fact the then recently discovered Pluto. This was one of the key aspects in Lovecraft’s literature: to reject the old spiritual world and use the advance of science as a source of inspiration. “The Shadow Out of Time” (1935) was H. P. Lovecraft’s last major story. It’s told from the perspective of Nathaniel Wingate Peaslee, a professor of political economy at Miskatonic University. During five years, this man suffers a bizarre form of amnesia followed by vivid dreams of aliens cities in ancient landscapes. Later, Peaslee discovered that a small number of people throughout history suffered the same type of amnesia. They were possessed by the Great Race, a group of cone shaped creatures who developed the technique of swapping minds with creatures of another era with the purpose of learn the secrets of the Universe. Peaslee describes the gardens that surround the cities of his visions with detail. There was calamites, cycads, trees of coniferous aspect, and small, colourless flowers. Calamites was a genus of tree-sized, spore-bearing plants that lived during the Carboniferous and Permian periods (about 360 to 250 million years ago), closely related to modern horsetails. They reached their peak diversity in the Pennsylvanian and were major constituents of the lowland equatorial swamp forest ecosystems. The Cycadales are an ancient group of seed plants that can be traced back to the Pennsylvanian. Cycads have a stem or trunk that commonly looks like a large pineapple and composed of the coalesced bases of large leaves. Today’s cycads are found in the tropical, subtropical and warm temperate regions of both the north and south hemispheres. While angiosperm fossil pollen first appears in the Early Cretaceous, molecular data suggest that the first occurrence was in the early Permian (~275 Ma) to late Triassic (228-217 Ma). Recently, a new study describe six distinct pollen types that have angiosperm-like features from the Triassic of Switzerland. Lepidodendron was a tree-like (‘arborescent’) tropical plant, related to the lycopsids. The name of the genus comes from the Greek lepido, scale, and dendron, tree, because of the distinctive diamond shaped pattern of the bark. The name Lepidodendron is a generic name given to several fossil that clearly come from arborescent lycophytes but are difficult to assign to one species. 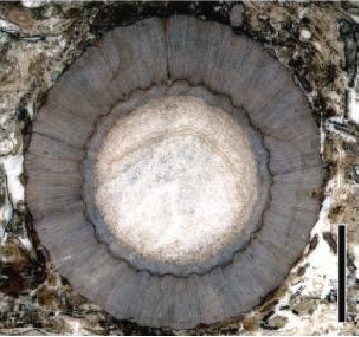 Fossil remains indicate that some trees attained heights in excess of 40 m and were at least 2m in diameter at the base. They were dominant components of swamp ecosystems in the Carboniferous and frequently associated with Sigillaria, another extinct genus of tree-sized lycopsids from the Carboniferous Period. 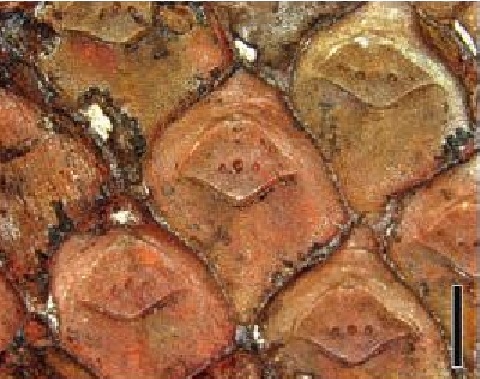 The absence of extensive branching and the structure of the leaf bases are the principal feature that distinguish Sigillaria from other lycopsids (Taylor et al, 2009). Sigillariostrobus is the name assigned to the reproductive organs or cones of Sigillaria. Unlike Lepidodendron cones, which were attached attached individually near the tip of the branches, Sigillaria cones occurred in clusters attached in certain places along the upper stem. Later, on an expedition to Australia, Peaslee – accompanied by Professor William Dyer, leader of the Miskatonic Antarctic expedition of 1930-1931- discovered a manuscript written by himself eons ago when he was a captive mind of the Great Race. H. P. Lovecraft, The Dreams in the Witch House and Other Weird Stories, Penguin Books, 2004. Joshi, S. T. (2001). A dreamer and a visionary: H.P. Lovecraft in his time. Liverpool University Press, 302. N. Taylor, Edith L. Taylor, Michael Krings: “Paleobotany: The Biology and Evolution of Fossil Plants”. 2nd ed., Academic Press 2009. This entry was tagged Earth Sciences, fantasy, H. P. Lovecraft, Howard Phillips Lovecraft, Miskatonic University, paleobotany, The Shadow Out of Time. Bookmark the permalink. Pingback: HALLOWEEN SPECIAL III: Lovecraft, The Tunguska Event and The Colour Out of Space. | Letters from Gondwana. Pingback: Halloween special V: Lovecraft paleontological Journey | Letters from Gondwana.